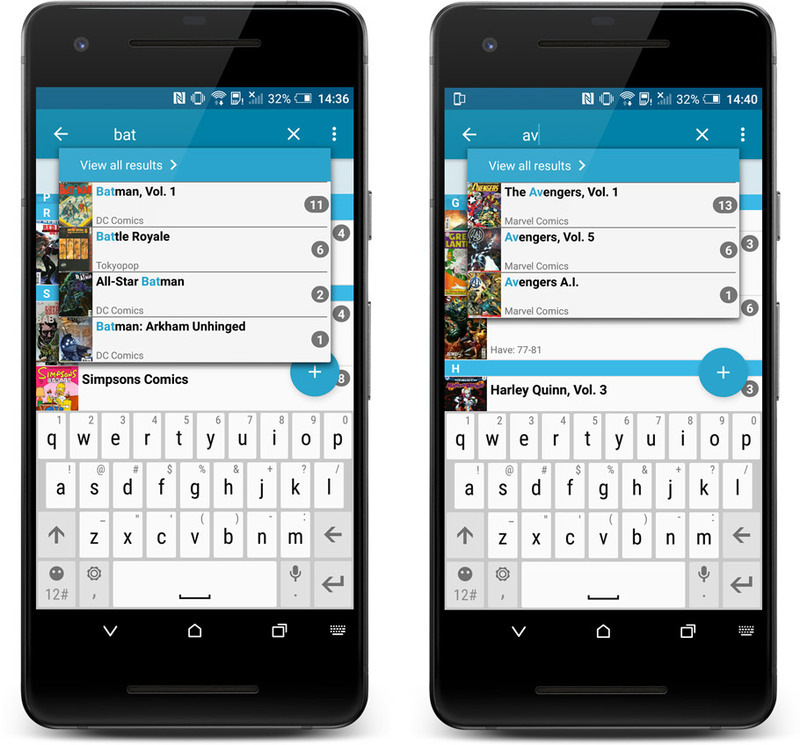 The main comic list scrolled to top after editing a comic while the ‘series’-folder mode was active. 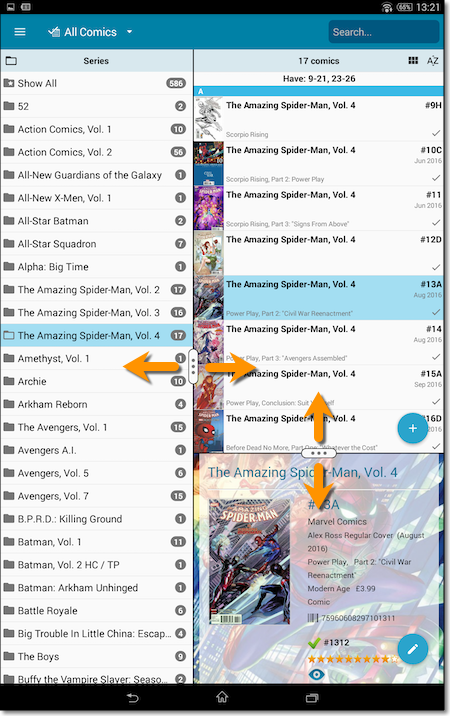 v4.5.4: Easier way to add series and improved navigation! After adding/editing a comic, the app will now always find and show your last added comic in your main screen. 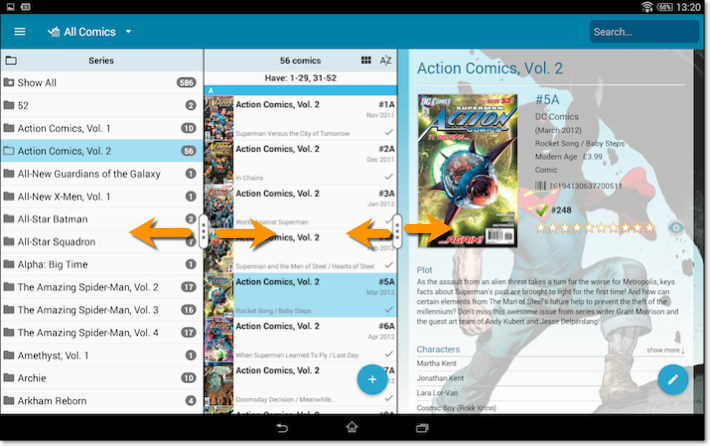 Add auto screen will automatically perform a series search when the add auto screen is opened while a comic series is selected. You can now folder group on “Read It”. 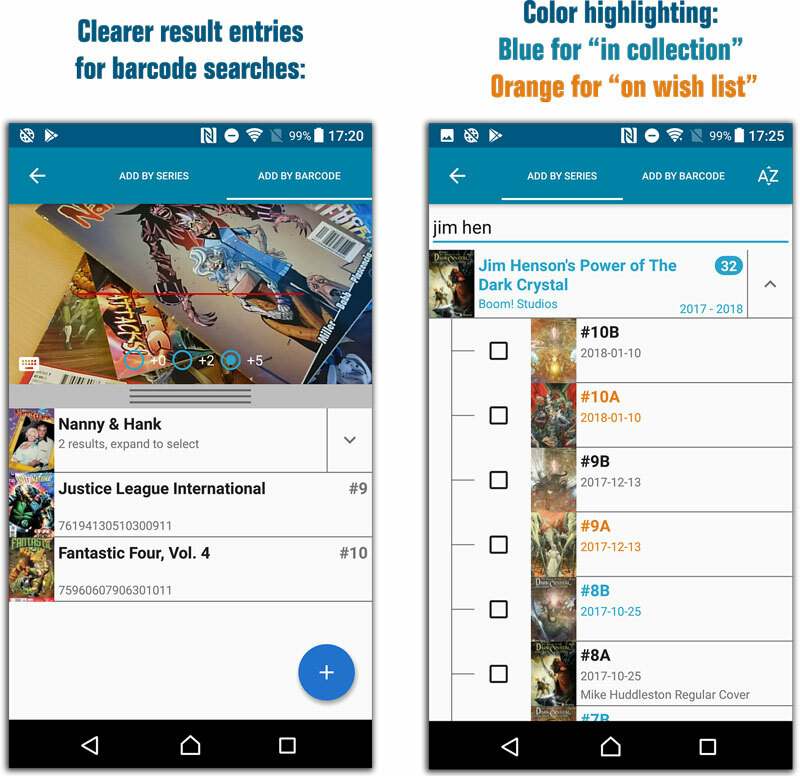 Made some tweaks to improve barcode scanning. Manual focus for barcode scanning. Crash in the add auto screen when adding a mix of new books and books on wish list by barcode. Crash in the pick cover option in the edit screen. 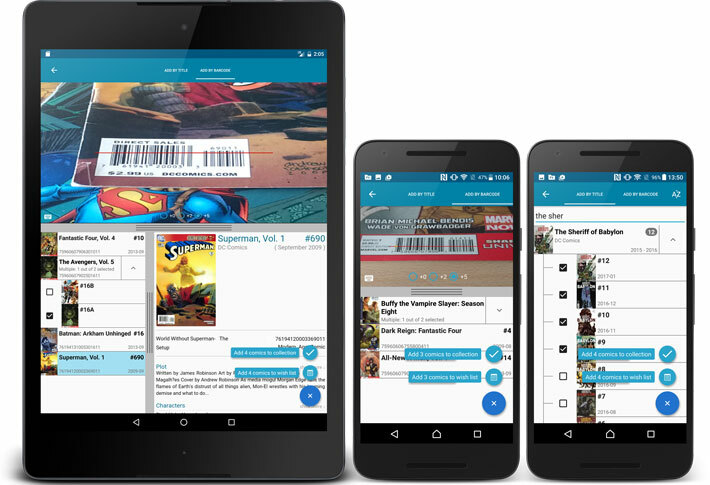 When adding a comic that is already on your wish list, the app now lets you change its status to “In Collection”. Better and cleaner search results. Much faster, almost instant results. 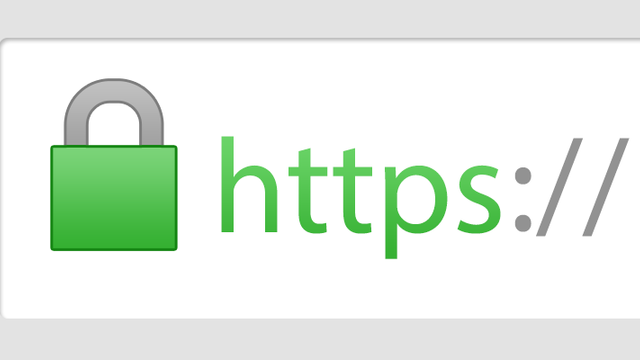 v4.3.1: A completely new look! 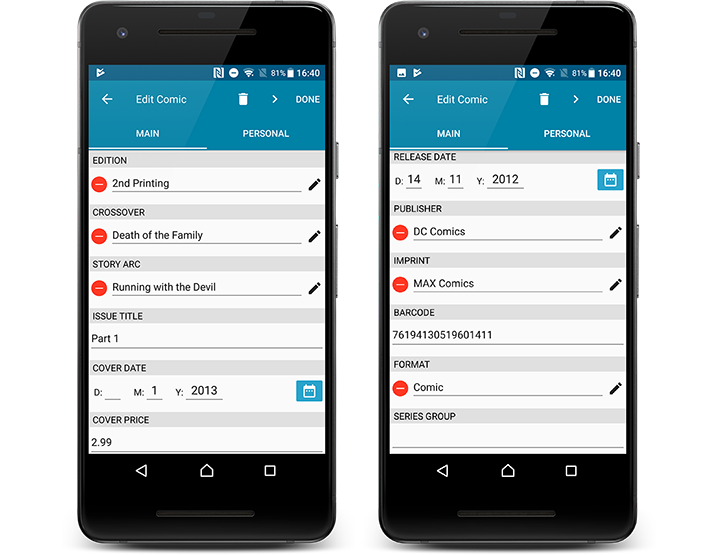 A huge v4.3 update for your CLZ Comics app is now available. Big floating blue “+” button for adding movies. Old Import from Comic Collector has been moved to Settings screen! 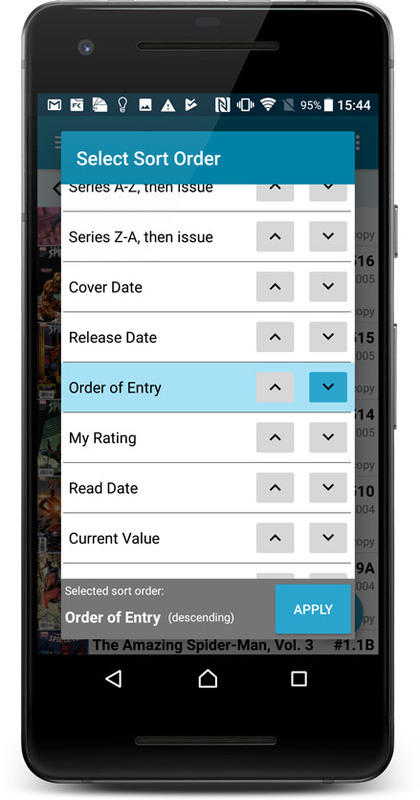 New “Manage Pick Lists” tool for editing and merging Series, Publishers, Series Groups, etc..
Edit screen: edit the Sort Names for Series for complete control over correct series sorting. Edit screen: Now edit the names of Series, Publishers, etc.. .
Edit screen: New “value picker” screen for quickly filling fields like Series and Publisher.